The Exclusive Option Leather Ignition/Light Switch Assembly features a rich leather wrapped surface. 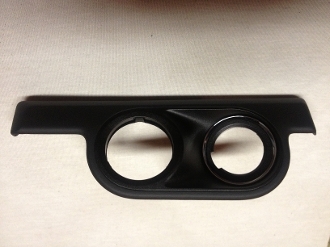 This rare piece of trim was an option that was available only as part of the extended leather dash package. The standard unfinished plastic assembly is replaced with leather in a matching or accenting color to enhance and highlight the ignition area of your Porsche. Installs easily in 2 minutes and provides that quality look every time you start you Porsche.